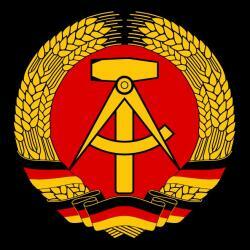 It was 13 August 1961 and Communist East Germany was losing its population to the West. Something had to be done to stanch the flow. At first the barrier was just barbed wire, so that if the West showed any resistance, it could be quickly taken down. But there was none. Indeed, after only a few months the American Ambassador in Moscow informed the Soviet government that the US accepted the Wall as “a fact of international life”. Khrushchev wrote in his memoirs, “We had forced the West to recognize the GDR’s [East Germany’s] unwritten rights” to control its own territory and borders. This accommodation to Communism, called Ostpolitik (German for “eastern politics”) henceforth became the policy of the Western nations. Three months after the West had abjectly resigned itself to the Berlin Wall, the Catholic Church managed to engineer its own face-saving way to start dealing with the Communists in a less clandestine fashion than before. This provided the opening for the skilful Casaroli who was appointed the Vatican's roving ambassador that same year. These negotiations led to quiet agreements with Hungary (1964), Yugoslavia (1966) and Poland (1974). And it all came about after Pope John sent birthday greetings to himself. The illustration is from a poem for children, “King John's Christmas”, (A. A. Milne, Now We Are Six, 1927), which playfully claims that this mediaeval English king was so unpopular that no one sent him Christmas cards and that: The cards upon his shelf / Were only from himself. 3. Peter Hebblethwaite, John XXIII, Pope of the Council, Geoffrey Chapman, London, 1985, p. 393.